Where to apply for a visa? How to apply for a visa? 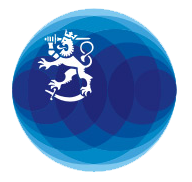 Births of Finnish citizens outside Finland must be notified to the Local Register Office. You can also submit the notification at a Finnish embassy or send it there to be posted to the Local Register Office for registration. Birth certificates issued by an EU country are accepted without requiring that a so-called apostille be attached to the document. In other countries the original birth certificate or a copy of it, authenticated at a mission of Finland, must be appended to the notification. The document must be legalised and, if it has been issued in some other language than Finnish, Swedish or English, an authorised translation in one of these languages must be provided. Translations made abroad must be legalised. Translations made by an authorised translator in Finland are valid as such. Lomake tulee täydentää ja lapsen molempien huoltajien/vanhempien päivätä ja allekirjoittaa. Liitä mukaan valokopio lapsen mahdollisesta Irlannin/muun maan passin tietosivusta tai muu mahdollinen todistus lapsen muusta kansalaisuudesta. Voit lähettää lomakkeen liitteineen suoraan maistraattiin. Jos toimitat asiakirjat suurlähetystön kautta maistraatille, sovi siitä etukäteen visa.dub(a)formin.fi. Huom. voit lähettää myös alkuperäisen syntymätodistuksen maistraatille, mutta huomioi, että maistraatti ei lähetä todistusta takaisin.